I really have to get better at posting my new patterns, you know, when they get released! Any who! Here's July! 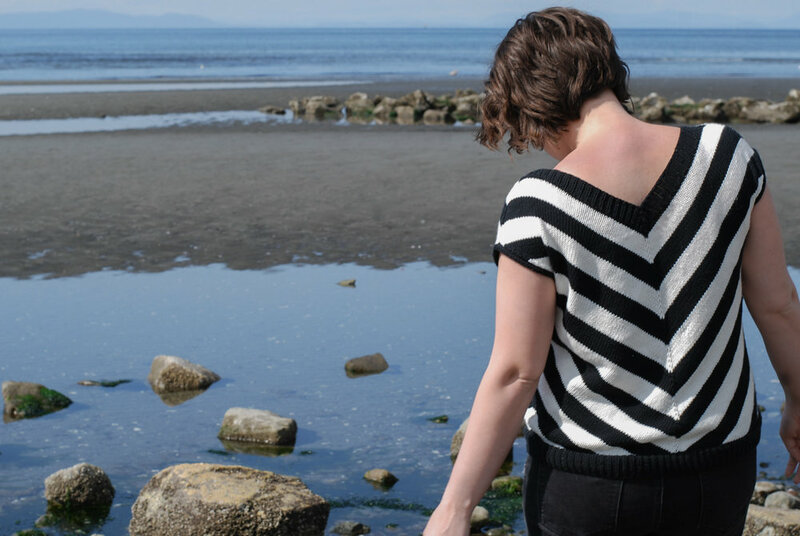 The Celista top is a vintage-inspired tee featuring oversized chevrons in bold stripes. The pattern contains two PDFs; one for a seamless version and one for a seamed version, so you can choose how you like to knit it. And since I totally spaced and the new release discount is already over (I really dropped the ball on this one!) you can use the code CELISTA25 for 25% off the pattern price until July 30th.